Healing – a Neglected Aspect of Orthodox-Evangelical Dialogue? A friend recently raised with me the possibility that healing may be a neglected aspect of Evangelical-Orthodox dialogue. Yes, we seek to heal relationships at the corporate level, encouraging groups to work together where they can to serve God’s mission in our broken and hurting world. Part of that is through creating a space in which positive relationships can be built, providing a context for addressing some of the issues which cause such pain to members of one tradition or the other. And by God’s grace LOI seeks to encourage joint efforts in areas where communities need to see God at work bringing healing. 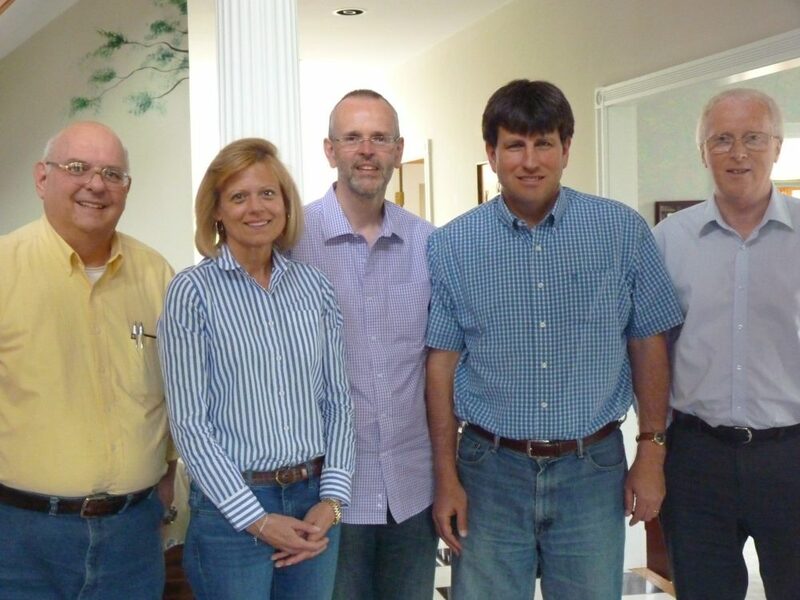 Jim Stamoolis, Leslie Doll, Tim Grass, Nathan Hoppe, and Mark Oxbrow of the planning group. Tim was in Chicago from 19-26 April for a week’s meetings about LOI, and he and others were interviewed by John Maddex for an Ancient Faith Radio podcast. You can listen to it at: http://www.ancientfaith.com/podcasts/features/the_lausanne_orthodox_initiative. The group planning our consultations had a productive day advancing preparations not only for this year’s gathering in Cambridge but also for our planned North American regional consultation in Boston in June 2018. We plan to look at the topic of discipleship, something close to all our hearts as Christian servants. More anon!